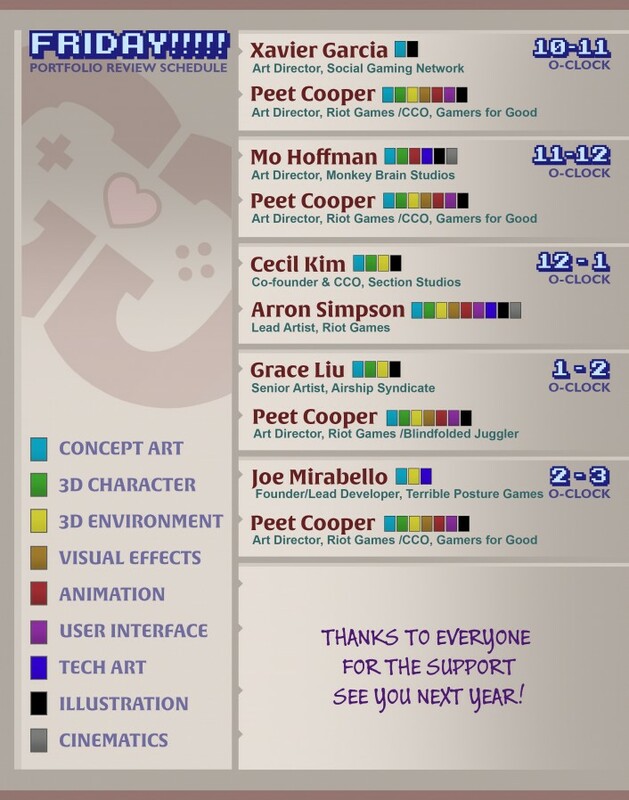 This year at GDC 2016, Gamers for Good is hosting a portfolio review booth for artists. 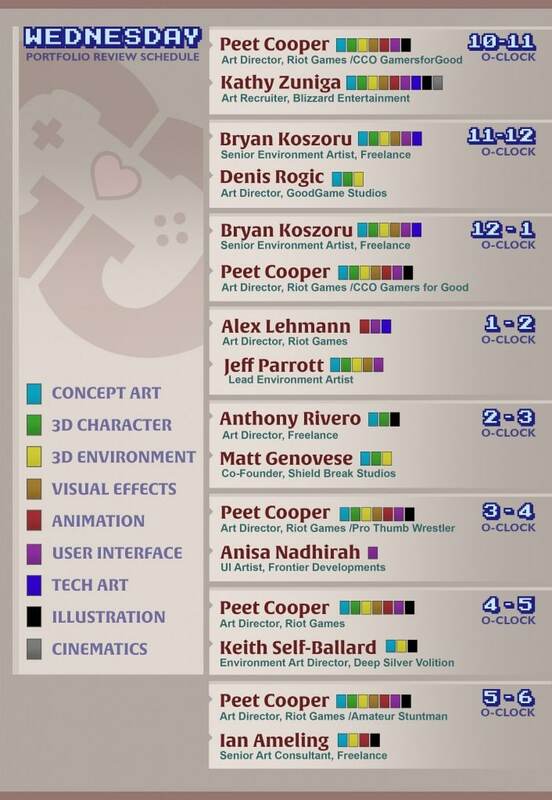 It seems that the number of places an artist at GDC can get good quality feedback has dwindled. We can all help change this. We invited professionals from around the game industry to join us. They have responded and are ready to offer artist constructive feedback to help them meet their goals. 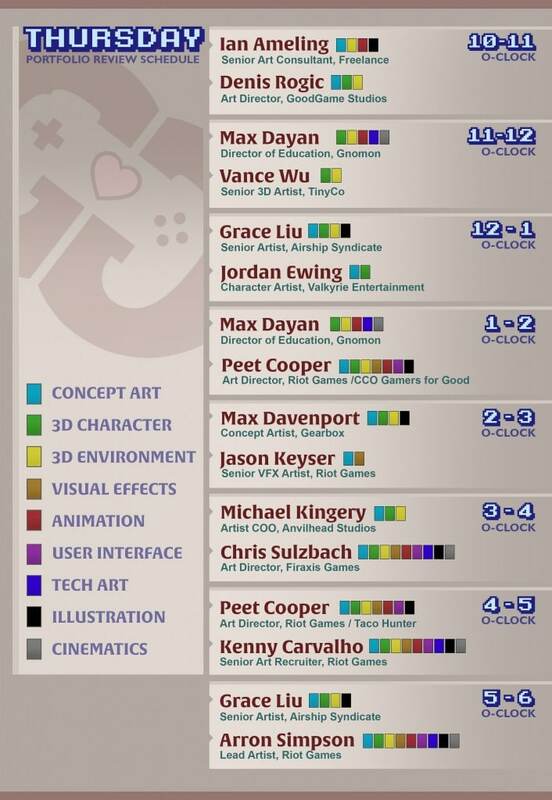 Please review schedules below to help plan when you should come to our booth, all our artists have indicated what disciplines they will be providing feedback for. If you are artist interested in RECEIVING a portfolio review, please add yourself to this Facebook event where we will share updates and any further information there.